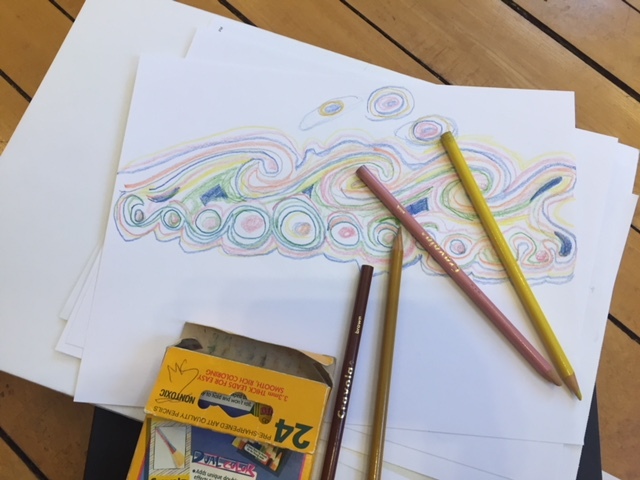 If you haven’t joined in the fun during Doodle Art Day, you can on Saturday, December 8. From 1 – 3 pm, join avid doodlers, lovers of art, socializing and fun for our next event. Held the second Saturday of every month, this is a casual affair with no rules. Doodlers find that the artistic act improves their comprehension and creative thinking. “There is no right or wrong way to doodle and no rhyme or reason to what ends up on paper. With this open-ended approach, there can be no mistakes,” says Bob Streit, owner of Twisted Fish Gallery. Held in the Cottage Gallery, Doodle Art Day is free and open to the public for ages 9-90. Bring paper and pen or your favorite drawing implement. Walk-ins are welcome, but if you call ahead at 231-264-0123, we will be sure chairs are provided for each participant. Join us, get creative and celebrate the art of doodling with Twisted Fish!